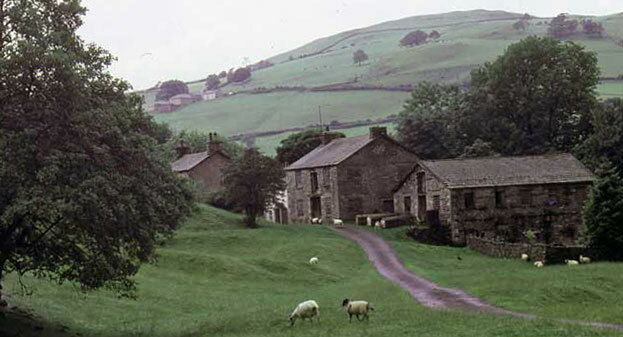 This mill was one of a series of early fullingmill sites along the western side of the mountain block known as the Howgill Fells. Major becks drain westwards into the River Lune at roughly one per mile, and each had its own fulling and/or corn mill by the late Middle Ages. Howgill Mill is in the area of the prestigious Bland family, and milners of that family have been documented there from the 16th century onwards, but the family itself goes back to 1327AD at least. One last comment. There is now no trace at all of the once large weaving rooms on the north bank of Banty Gill. It would be interesting to know just when they went.